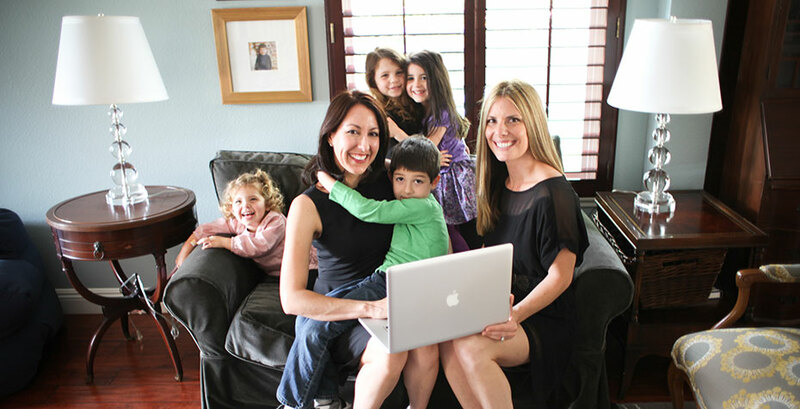 A recent Forbes article, "How Two Stay at Home Moms Are Changing the Legal Industry," profiled Wellesley alum Erin Giglia ’98 and her business partner Laurie Gormican Rowen, who founded Montage Legal Group, a company that provides temporary legal services to law firms through a network of independent freelance attorneys who work from home on an hourly basis. The two met when working at the same law firm, and grew close through other things they held in common—their daughters were born just 16 days apart. Life in leading law firms is a well-known grind. Expectations of long hours, travel, and unpredictable demands are part of a culture that has been overall slow to embrace the work-life balance concept. Giglia came face to face with this as a mother of two young children. She loved her work but realized sleeping only a few hours a night was not a long-term prescription for health and happiness, and decided to leave the firm. “I was personally devastated to feel like I was quitting, because I’m not a quitter,” she says. Giglia was a good lawyer, and had done well. She hated to give it up entirely. Becoming a freelance/contract-based attorney was her way to ensure she was still engaged. Rowen, facing the same difficult situation, did the same and suggested they join forces and—beyond that—create a network of accomplished legal professionals. The company initially started with the pair’s own efforts in 2009. In January 2010, they added their first freelance attorney to the Montage network. Throughout 2010 and 2011, they added more attorneys, all with impressive credentials from top law schools and experience from prestigious full-service law firms. Almost all were women torn by the same dilemma—loving the practice of law but not loving the family-challenging world of partner-driven law firms. Today Montage has 125 attorneys in the group (including three other Wellesley grads). Giglia didn’t set out in her career to change the face of legal practice, even if that is how the press talks about it. As the founders got started they began to see an opportunity—“[Our freelancing] turned into something that was great for us,” recalls Giglia. “So we realized it must be a need others have, as well.” And they asked themselves, why not blow this thing up? Giglia credits her Wellesley training for helping her follow that path. The impetus for Montage was to create a situation where women could remain in the legal profession, even though they had “dropped out.” The working mom angle was how the organization started, but men did sometimes apply for the selective positions. Montage made offers, with the frank caveat: “If you’re OK being the only boy in ballet class...?” It took a while for the first brave few to step up, but now, while predominantly female, the network is a mix of gender. Though deep in the legal field, Giglia rarely practices law now. When she does, it’s pro bono for nonprofits, as a favor, or in an emergency. Her work still usually falls within school hours, though the kids are used to her being on conference calls at home.